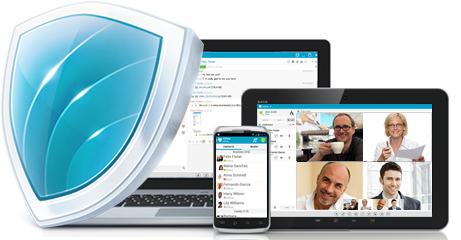 Built on superior encryption algorithms, Vipole now offers the most secure instant messaging service available online. Users are now able to send and receive instant messages, video calls, voice calls and files between any of the major software platforms and without having to worry about third-party intervention. Concerns about data security is at an all-time high with almost daily stories in the news about cyber-attacks and sensitive data being leaked. Hackers and other cyber criminals use various methods to breach security protocols and gain access to data or tap into live communication sessions. In light of the growing threat to data security, Vipole has researched all communications security nuances and anticipated all possible threats in providing what they feel is the most secure communication software available. 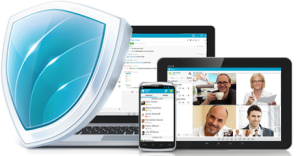 Using the latest, most advanced encryption and web technologies, Vipole provide users with a secure online communication experience that prevents unauthorized activities such as listening in on conversations, tapping into messages or hijacking files during transfer or storage. Users are able to benefit from Vipole’s superior security, regardless of whether they are using Windows, Mac, Linux or Android devices. In addition to allowing users to enjoy the security of Vipole Secure Messenger on all major platforms, users are also able to use the service on any device, including desktops, laptops and mobile devices. Data security is provided by ensuring all user data is fully encrypted with advanced AES-256 and RSA-3072 encryption algorithms. The architecture of the software is such that only users are able to decrypt their data and prevents even Vipole support staff from having access to data or login information. All user activities are backed by three security levels, beginning with when users log into Vipole’s secure server with unique usernames and passwords, which are not openly stored or transferred. Individual encryption keys are automatically generated to assist users in encrypting data during storage and transfer. Finally, users are able to add an additional security level by encrypting their unique encryption keys with secret phrases that are created by the user and not stored on Vipole’s server. Vipole servers are kept secure in enterprise-class data centers in the Netherlands, which are monitored around the clock by the company’s network and system engineers. The software is available for free download from the company’s website. The Vipole Consortium consists of a team of specialists with many years of experience in information security and communications.